When we replace your watch battery we clean the contacts and if necessary we change the case back gasket. We check timekeeping and use only brand new Swiss or Japanese batteries. Your old battery is checked first to see if it’s the real reason for your watch not working. The contacts are cleaned and neutralized. We check the inside of the case to see if it needs adjusting. We inspect the case components and clean it, to securely close the case. Of course William Mansell will also set the time and date for you. We have a whole range of case opening and closing tools. We at William Mansell are members of the British Horological institute. 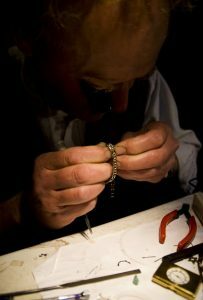 We have been repairing and restoring timepieces for more than 150 years. 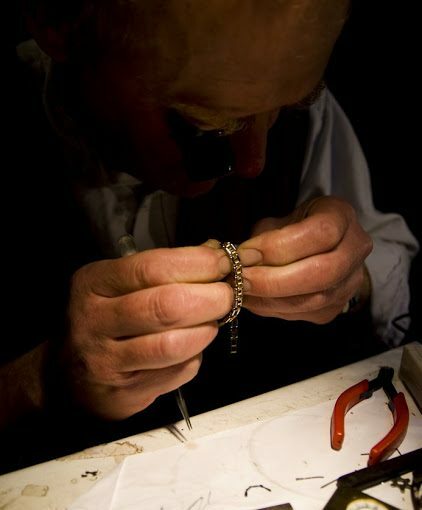 Together our two main watchmakers have over 80 years of watchmaker expertise.